Laguna Beach: Calm water and warm, white sands combine for the ultimately relaxing beach setting. Laguna Beach is ideal for strolling, volleyball matches, or just sunbathing. Coronado Central Beach: Located just beside the luxurious Hotel Del Coronado, the Coronado Beach is perfect for swimming, surfing, or even just wading. Head up to the north end of the beach for Dog Beach and let your furry friends have some fun too! El Matador Beach: El Matador Beach is known for its tirelessly romantic setting. If you’re not bringing a picnic lunch, make sure to stop by to watch the gorgeous sunset over the water. Venice Beach: If you’re not enjoying the sand and the sunshine, you’ll love Venice Beach’s zany 3 ring urban street circus. Bring your kids to watch the show or to enjoy the tasty food spots. Santa Monica Beach: Santa Monica Beach is not your typical beach. Complete with a boardwalk, amusement park rides, and an aquarium, this beach is perfect for family-fun. Stick around to watch the beautiful sunset after a fun day of activities. At Coast Valley Moving & Storage, we believe your move should be as stress-free as a relaxing day on the beach. 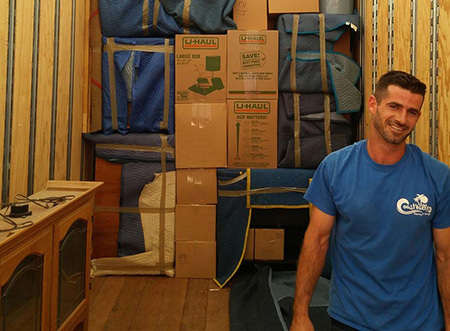 For superior moving services, trust our experts for your safe and efficient move. Call or get your free quote today to get started!